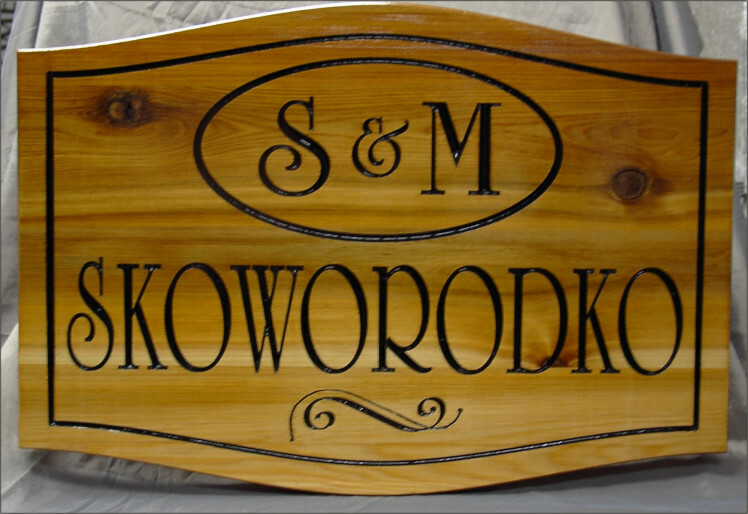 We carefully grain match all our cedar boards for each sign to give you the most pleasing appearance and quality in your sign. 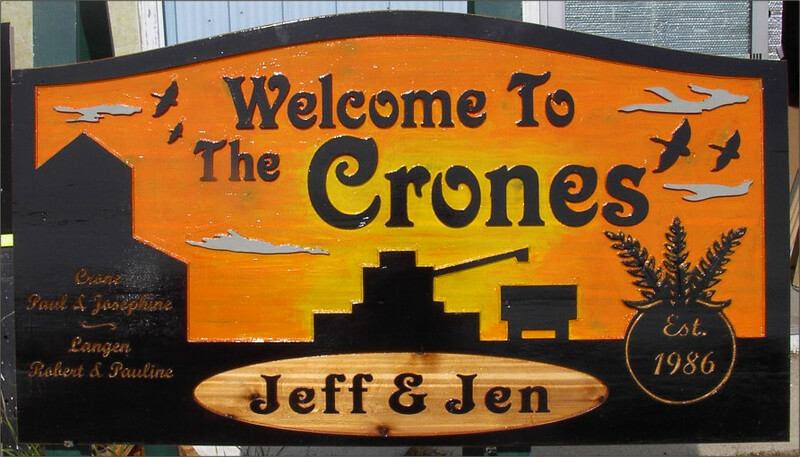 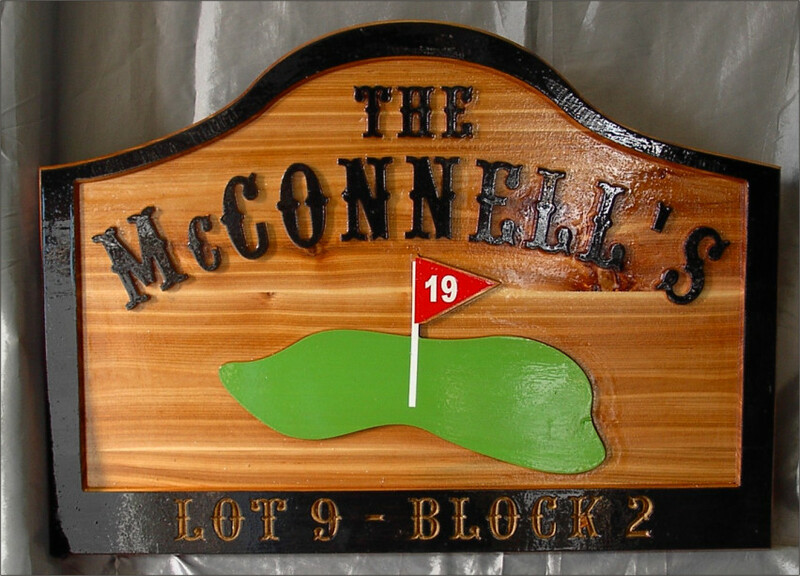 You can even request a dark, medium or light colored cedar sign. 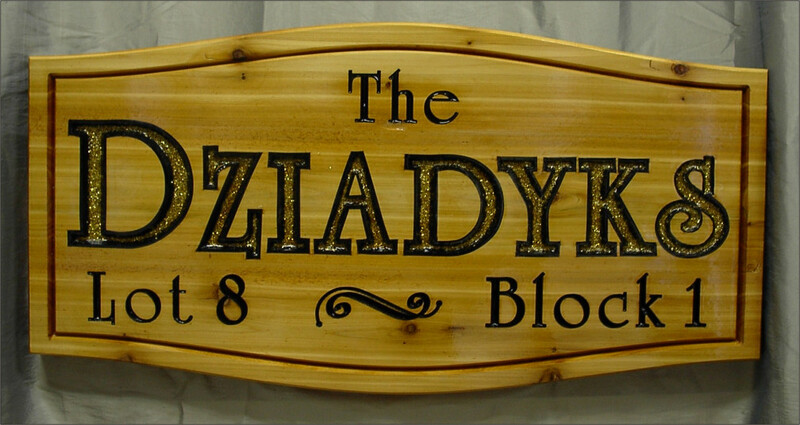 All of the signs below have the exact same Varathane finish, it is the wood itself that gives the sign its unique color and appearance. 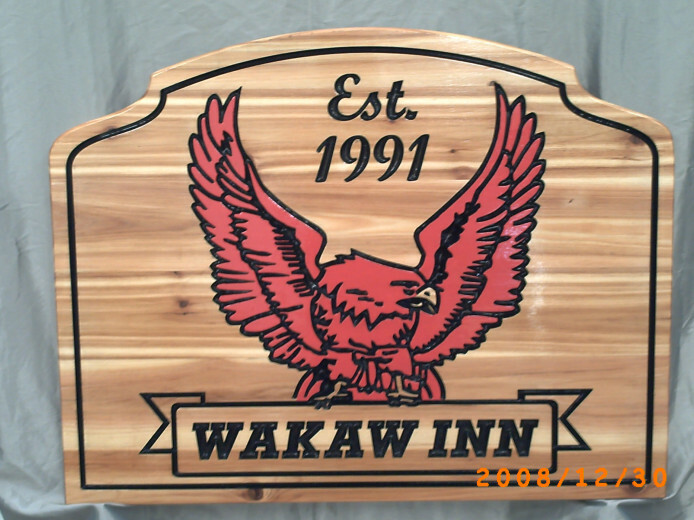 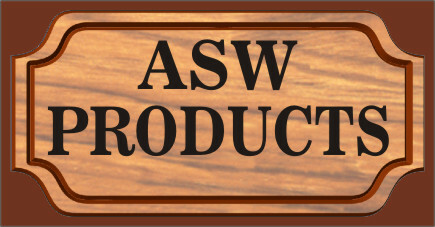 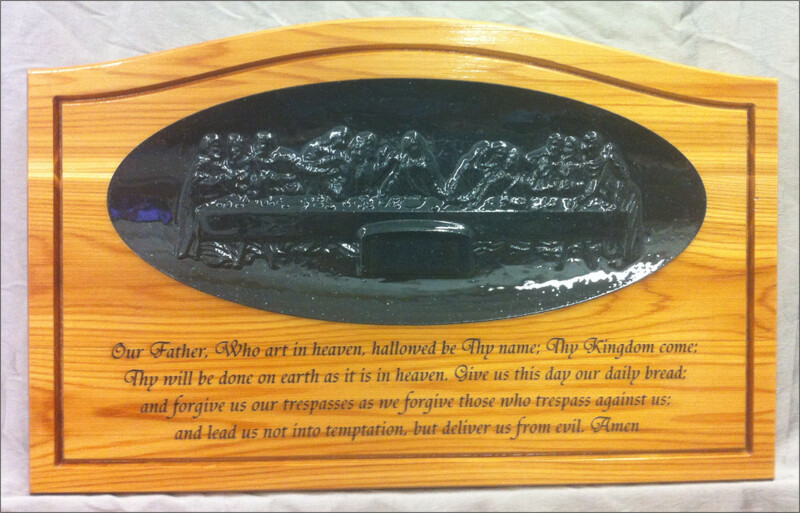 V-carved sign 32x16" with 32x5" address ASW graphics. 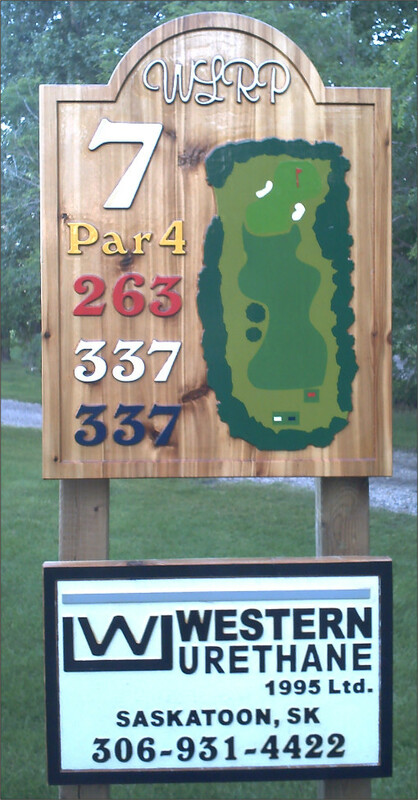 2D-Carved Golf Course signs. 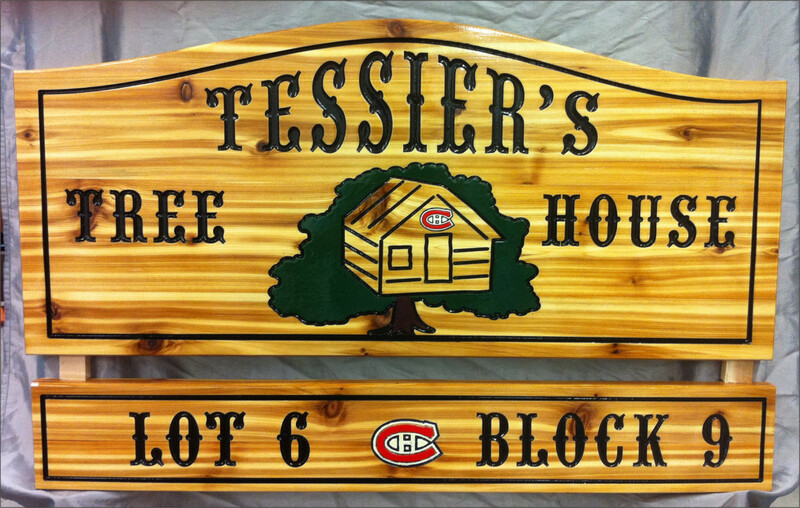 Priced per quantity and size required. 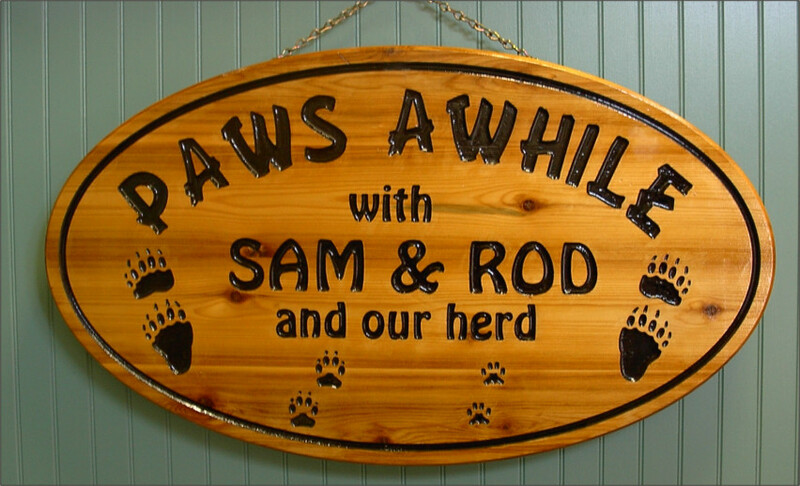 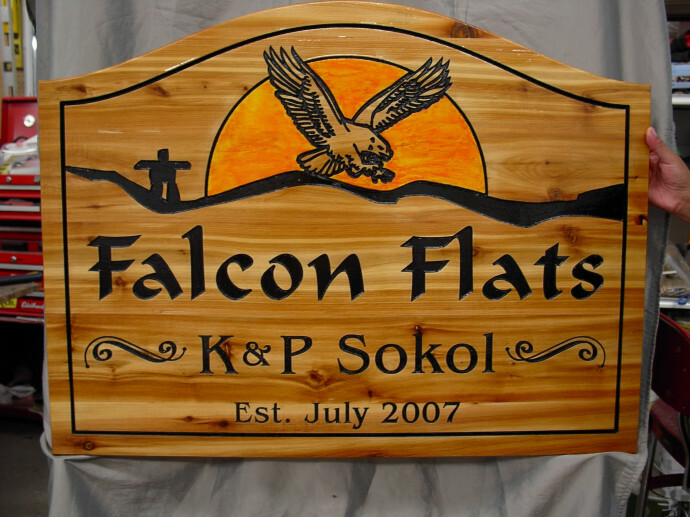 What style of sign carving do you want, and what are the costs? 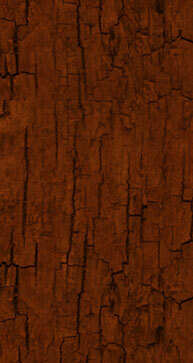 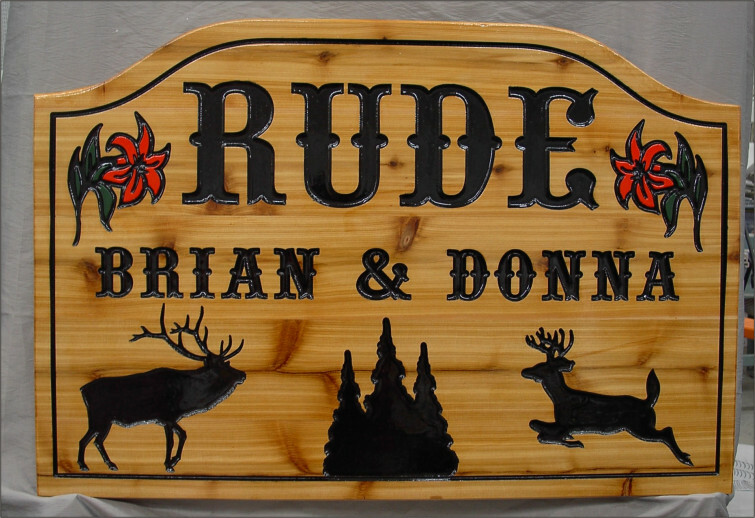 2D-CARVED - Graphics and lettering have the background wood removed leaving them raised above the background. 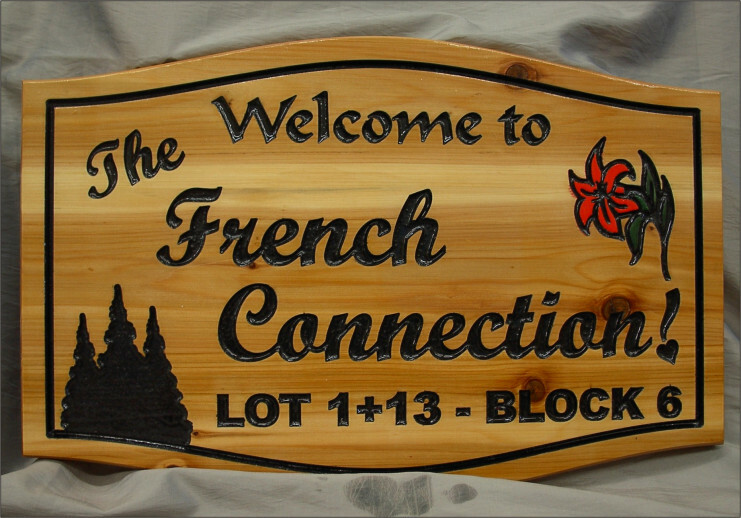 A bevel edge can be added to the lettering and graphics. 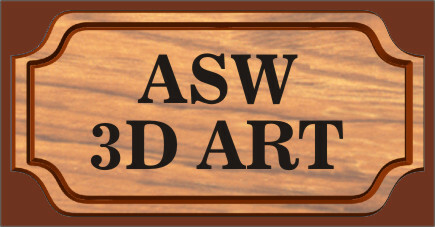 To view 3D artwork for your sign click on the link ASW 3D ART. 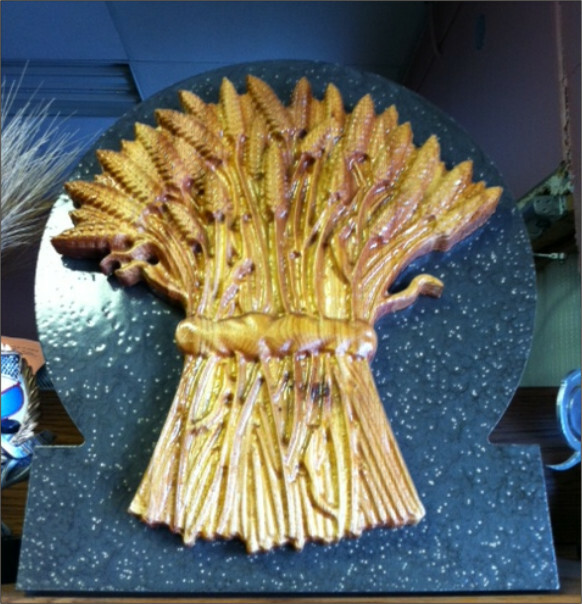 Example of a 3D-Carved cedar wheat sheaf that can be used in a sign. 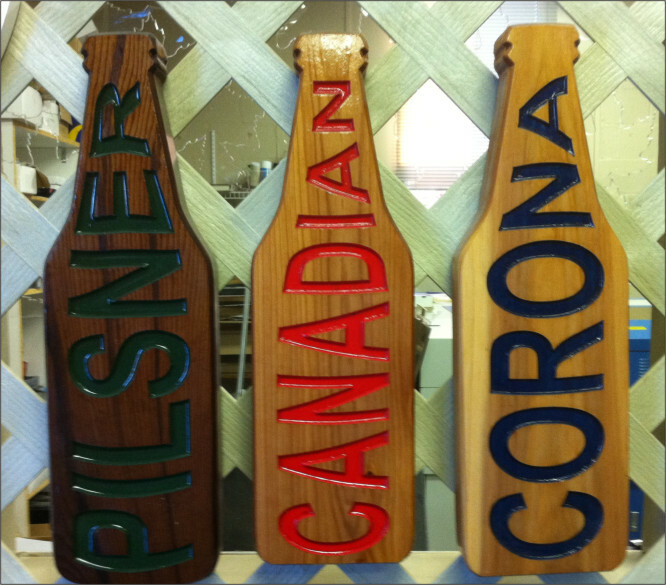 Novelty sign carving of hat racks, coat racks for bars, gifts etc. 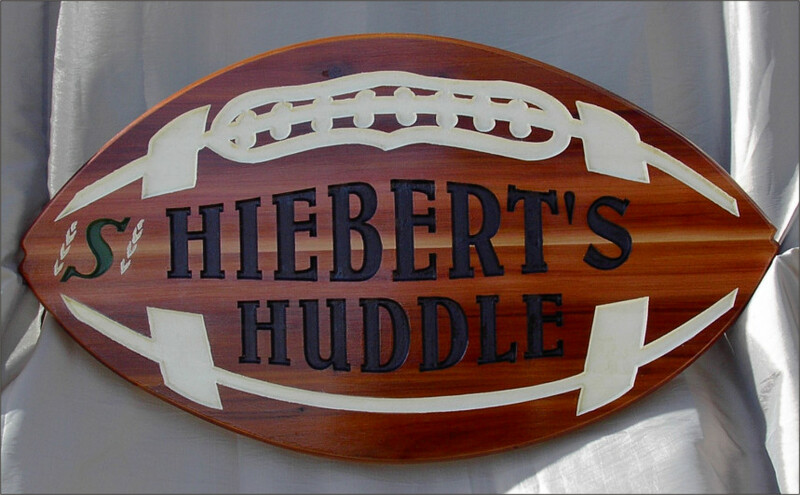 Call us with your ideas and we can make it happen.